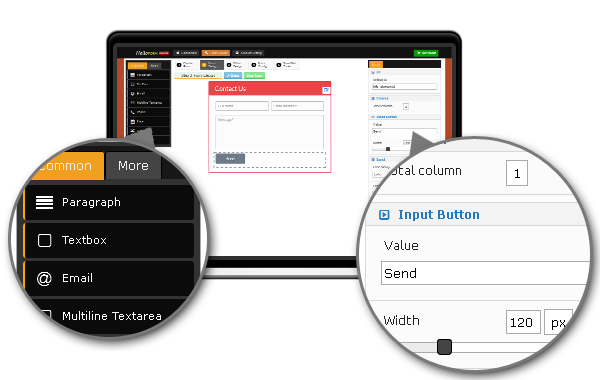 HelloForm Builder is a contact form generator with user friendly interface. It can generate a 100% fully working php contact form with email function. What made helloform builder best? Say NO to subscription. This is absolutely a one time payment ONLY. Stop wasting your money in monthly subscription. You hosted the form builder and the forms on your own server and fully control everything. No other 3rd parties hosted form. Create any number of forms with no limit. Helloform builder is not only for contact form. You can also build and design feedback form, survey form, job application form and other varieties of form. Generated forms are look perfectly on mobile devices such as smartphone, tablets and other low-end devices. Targeting mobile users increase conversion rates for your business. The example form is a fully working contact form that sends email via SMTP. Believe it or not, this example form is created in less than 2 minutes. Still don't believe? Then watch the tutorial video below.